Down-the-line TV interviews: avoid them altogether? 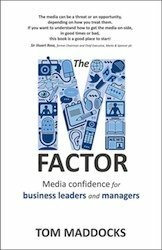 A couple of recent events have shown the perils of agreeing to a ‘down-the-line’ interview – that is, when your interview is taking the form of an inject into one of the news channels or TV programmes, from a remote studio. 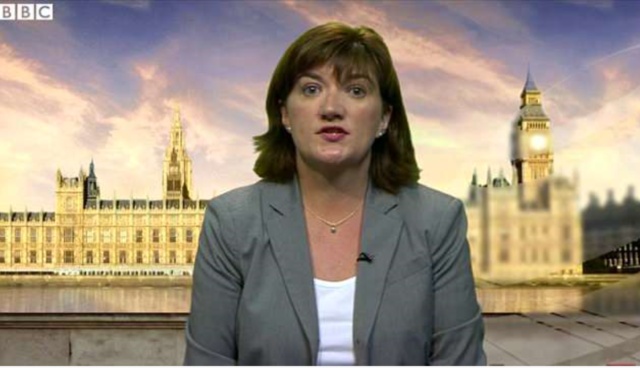 Former Cabinet Minister Nicky Morgan has said she will not do any more of these interviews from regional BBC studios, because the lights are often unflattering and online trolls comment that they make her look ugly. Not long beforehand, Sainsburys boss Mike Coupe attracted mass ridicule when he was caught on camera singing “We’re in the Money” just after the announcement of a big takeover deal. He was on his own in an ITV studio waiting for his down-the-line slot, presumably not thinking that the cameras would be recording his unlikely time-filling tribute to the musical 42nd Street. In their different ways, both these incidents show the perils of try to save time by doing the interview at a convenient location. Sometimes there is no alternative, but increasingly in our media training courses we tell clients that if you possibly can, go into the main studio itself, even if it’s a bit out of your way (as opposed to having to go all the way up from London to Manchester for a 2-minute appearance on BBC Breakfast, which for most people clearly wouldn’t be realistic.) Alternatively they may sometimes be willing to come to you. With down-the-line, you look and feel remote, and there is always the nagging worry that the earpiece might fall out and you might not be able to hear the question. Not everybody has mastered the art of looking comfortable in these circumstances – all too often it’s the ‘rabbit in headlights’ look. (The key is to relax, smile and imagine the camera is a friendly person you’re just chatting through the topic with). Certainly if you get the eye-line wrong – eyes darting about instead of staying fixed on the camera – it is particularly noticeable in this format. The most tricky situation is when there is a monitor in the remote studio. Great for checking your hair is tidy before you go on, but it’s very hard to avoid looking across to see how you’re doing, and of course this looks terrible to the viewer. Try and get it switch off or turned around if you can. Then there is Ms Morgan’s point about unflattering lighting and lack of help on makeup – there is nothing shameful about wanting to look one’s best and create a good impression. Many of us have seen pasty-faced City analysts awkwardly trying to give a view from the Canary Wharf trading floor on one of the business channels, attempting to keep focused while there’s a degree of chaos going on in the background if it’s a day of turbulent trading. So if you possibly can, go for the main studio option. The broadcaster will be happier and you’ll probably look better. And whatever you, do don’t imagine that if you sing “We’re in the Money” while you’re waiting, it won’t find its way into the public domain.